Howard: “One Ring to bring them all. 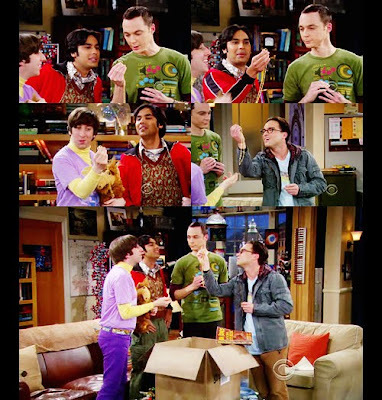 Raj: …Holy crap, are we nerdy. Episode 17 of my favorite The Big Bang Theory series. Can't get enough. At first blush, I thought I saw Sheldon look like Steve there.